Hello,I am a huge fan of contouring and highlighting! 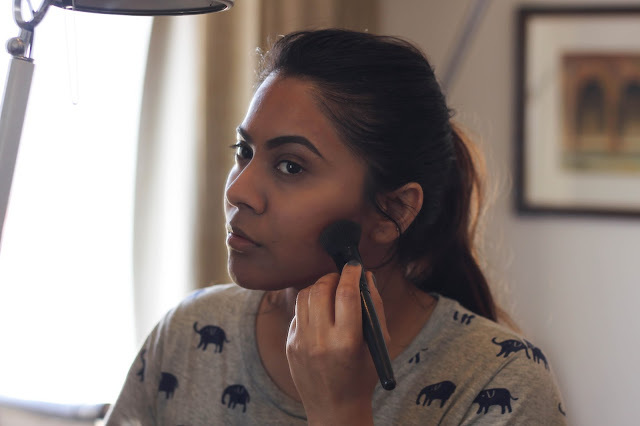 There is no way that I am leaving home without sculpting my face (if I am wearing makeup). 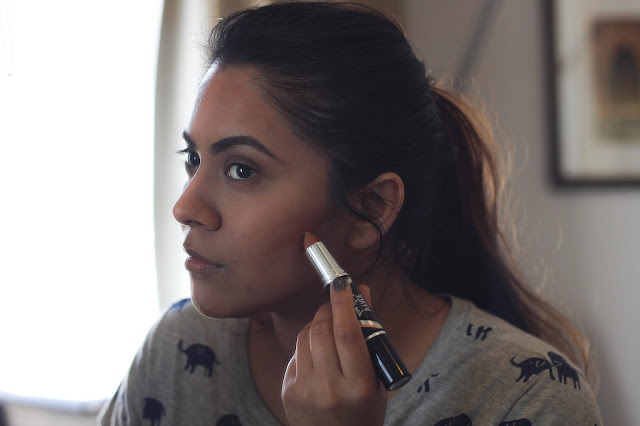 When Maybelline Contour-Highlight Stick was launched in India, I was really excited to see a drug store brand coming up with a contour-highlighting duo! 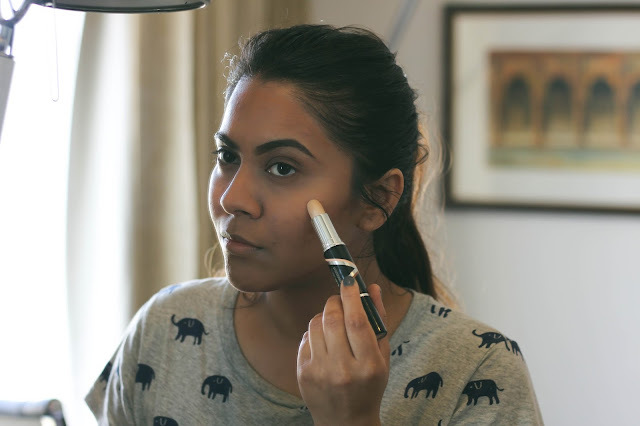 Maybelline Contour-Highlight Stick costs 835 INR and is easily available both online and offline.I am very particular when it comes to makeup and even more when it comes to contouring ! Happy to report that Maybelline Contour-Highlight Stick has the perfect color to warm up the face and for a little sculpting too. It's not too warm to look muddy or not to cool to look ashy, just perfect for everyday use. Highlighter does the work for adding that light to the cheekbone but if you are used to an out there pop of highlighter then this is not it. Its glowy in a subtle way but not shimmy. Pros:1. All in one product. 2. Contour color is universal, will work on most skin tones. 3. The product goes on super smooth to sculpt the face. 4. Its very easy to blend. 5. Highlighter is great for everyday use, does not have any chunky glitter in it. 1. Highlighter is not very pigmented, specially for night makeup. 2. The product stays on for 2-3 hours. If you are looking for an affordable contour and highlight option then Maybelline Contour-Highlight Stick is a great option, best contour-highlight duo available at drugstore. It's a great everyday makeup product.